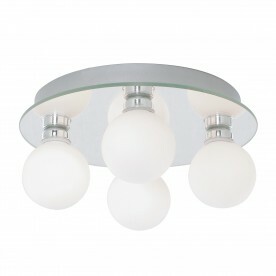 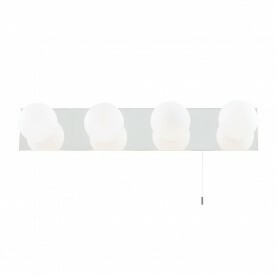 This IP44 Globe Chrome 4 Light Flush Fitting with Opal Glass Shades is modern and glamorous. The mirrored back plate has a sleek chrome finish and features four opal glass shades, which provide a soft yet practical source of light for the entire room. 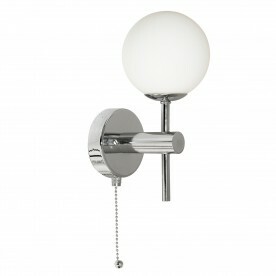 And the fitting is fully splash proof, so it's perfect for your bathroom or kitchen ceiling.